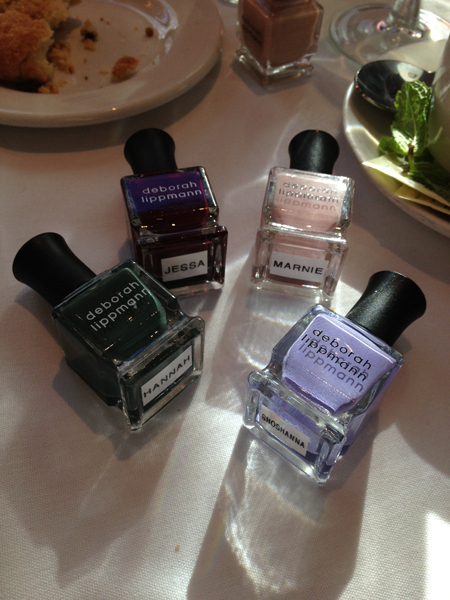 As many of you might remember, I posted a bit ago this picture and mentioned that it was going to be an HBO Girls themed collection from Deborah Lippmann. Now that bad news. 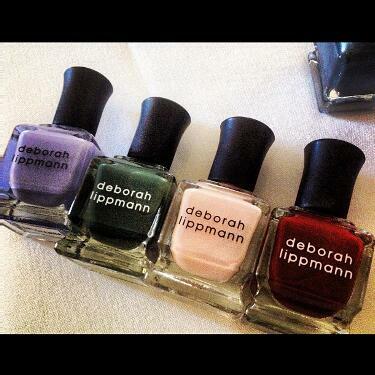 This will be a four piece set of full sized polishes for $45 (American, not sure about Canadian distribution yet!) and should be out this spring. The plus side though, is that it's cheaper to buy t as a set rather than individually. However, based on these pictures, I'm not really wowed... Perhaps the purple..?